Cryptorchidism occurs when one or both testicles fail to descend into the scrotum. This is a fairly common problem seen in dogs, cats, horses, and other animals. It is a well-documented genetic trait and animals with this condition should not be bred. 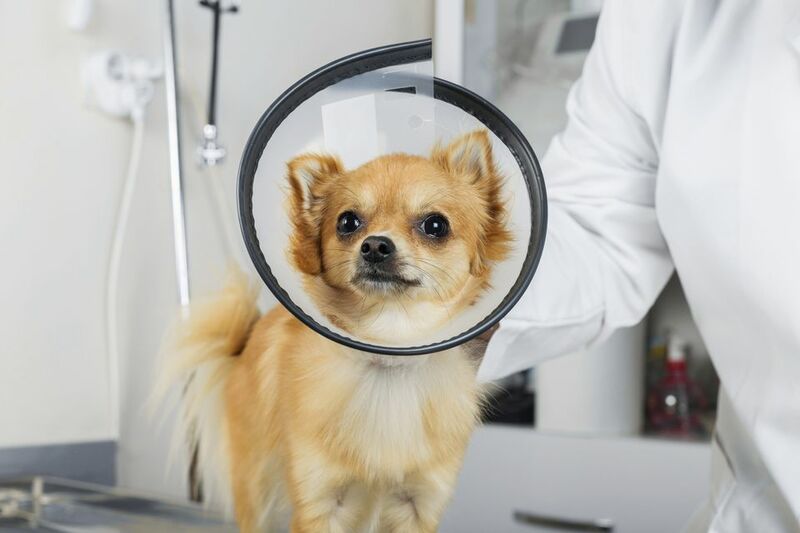 For the health of your pet, the vet will likely recommend that he be neutered. This can prevent cancer and other complications, including many behaviors associated with unneutered males. People often wonder why animals that are cryptorchid need to be neutered. The reason is two-fold: for their health and to prevent passing the condition on to future generations. Animals that are cryptorchid may still be fertile, especially if they are unilaterally (one-sided) cryptorchid. While the retained testicle will not produce sperm, the normal one will. This means that there is still a chance that the dog may be able to breed successfully, even if it's not recommended. If both testicles are retained, it's likely that the dog will be infertile. While breeding may be possible, cryptorchidism is a known heritable trait. This condition is more common in some breeds, especially in toys and smaller dogs such as Poodles and Yorkshire Terriers. It is, however, seen in all breeds and is passed on from a father to his (male) offspring. The concern for the health of any potential puppies is just as important as your pet's health. In addition to the heritability aspect, testicles that remain in the abdomen are more prone to testicular tumor formation and cancer. With less frequency, some animals may also suffer from abdominal pain due to torsion. This occurs when the cord is connecting the retained testicle twists and cuts off the blood supply. In the majority of cases, a neutered cryptorchid can lead a perfectly healthy life. The surgery is routine and can also help you avoid some of the less desirable aspects of a non-neutered male. For dogs and cats, in particular, this means fewer aggressive tendencies and less territorial marking. For most dogs, the testicles drop by the time they are 2 months old, though some breeds do take longer. Opinions will vary, but if your dog or cat is still cryptorchid (one or both testicles) by 6 months, it is highly unlikely that the testicle(s) will ever drop. If the testicle is not readily palpable in the inguinal canal (groin area), abdominal exploration is necessary to find the retained testicle. In these cases, it is best that the animal is neutered. While neutering often happens at young ages, it is sometimes better to wait until 6 months so they can better handle the general anesthesia. Again, opinions about maturity vary as do anesthetic protocols used by vets. It is best to consult with your veterinarian regarding the best plan of action for your pet.